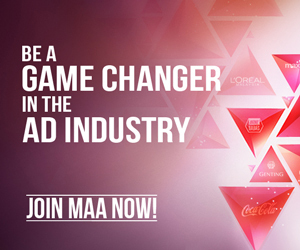 MAA & WFA: Is your ad getting value for money? AMID a complex media landscape, there are many issues which a marketer faces to ensure ad spend, campaigns and branding initiatives are well utilised. There are other burning questions which they constantly ponder: What am I really getting for my advertising money? Are the recommended changes to the media plan getting my brand more visibility? Did my ad appear? Is my brand appearing on objectionable websites? The list goes on. Their predicament were raised and possible solutions were provided at a recent Digital Governance conference organised by the Malaysian Advertisers Association (MAA) in collaboration with World Federation of Advertisers (WFA) and strategic partners FirmDecisions Ltd and Ebiquity Plc. UK-based FirmDecisions is a global auditor in the specialised area of contract and financial compliance of agencies to client contracts in the marketing communication industry. Ebiquity, also a UK-based company, is one of the world’s leading independent marketing analytics specialist. Meanwhile, FirmDecisions Asia Pacific managing director David Brocklehurst advises that in the ever-changing landscape of digital and programmatic, agency contracts should not only be refreshed and audited but consideration should also be given in redefining the in and out of the scope of work. “Your contracts may not be giving you the transparency and controls you think you have. Typical clauses to look out for are: The right to audit before and post termination because rebates will come in after the period, for example; the right to choose who the auditor is; ambiguous clauses on data ownership to name a few,” he notes. Moreover, experts in the conference agree the process of verifying invoices has to go beyond matching against the media plan. Sometimes an ad is cancelled or is not published and therefore audit helps improve governance in billings to actual media bought. To further ensure compliance, salient terms of contract should be summarised and tabled to help educate all internal stakeholders. What is data? How to manage data? Do I need all these data? How do I target an audience effectively in a complex media landscape? These are some of the other pertinent questions which are frequently on the minds of marketers. There are also many multiple targeting filters that can be put in place to isolate your buys in order to target the exact individual that will react to your ads. The only issue is, are you over-targeting? As more media is consumed online, is the trend favouring video? And must it be professional-grade? He cautions the online audience has a shorter attention span, and the creative and content should not be the same as an adapted television commercial that is put online. “Instead try the reverse. Build assets from an online perspective then bring to free to air,” Muhammad notes. Crowd sourced videos can be successfully used as actual videos within the media buy. That is, if your messaging angle and the whole story that you are trying to put across comes to life from these, he says. Ultimately, people matter. The constants on your team and in the agency, must align objectives, ensure effective implementation and tracking, according to experts at the event. Don’t wait for the campaign to end as digital allows for monitoring and reviewing daily. Frequent interaction between agency and your team is critical in order to strike the relevant chords in unison, to ensure a harmonious symphony. Dynamic and ever changing metrics, according to some experts demand that knowledge and skills must be upgraded and everyone has to evolve together – media agency, media owner, advertisers and marketers. Whether or not your agency is acting in your best interest, do verify and ensure that you retain your rights to review and audit. Do refresh your contracts, understand what you are getting for your working media, ensure that you have digital governance, empower yourselves to be smarter to protect your own assets for your business, attendees were reminded at the event. “Ad Fraud is one example, and a guidance is available to look at the steps, technology and tools that need to come into a campaign to help ensure it is a human and not a bot,” says WFA director of marketing services for Asia Pacific Ranji David. 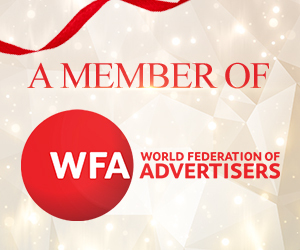 WFA is the only global organisation representing the common interests of marketers. It brings together the biggest markets and marketers worldwide, representing about 90% of all the global marketing communications spend, almost US$900bil annually. It also champions responsible and effective marketing communications as well as provide education in protecting marketing investment and driving business goals. Founded in 1964, MAA has over 200 members across categories as diverse as travel, packaged goods, technology and healthcare, whose total communications spend is in excess of RM11.6bil.